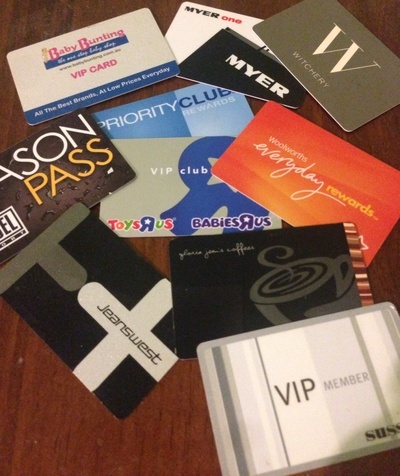 Which is the best loyalty card in Australia? With so many retailers and food vendors offering loyalty cards, you almost need an entire wallet just for your membership cards alone. Which is the best of the bunch? Of all of the loyalty cards and programs out there, which one is your favourite? Which one do you think gives you the best rewards or value for money? My favourite is definitely Fly Buys, I am not the average consumer so most of the loyalty cards just don't add up to anything for me. But grocery shopping is something I do regularly and I have earned movie tickets, a magazine subscription and cash off my groceries in the past couple of years. It's great! At one point I drank a lot of coffee and got regular free coffees by using a Michel's card. Whilst I mostly shop there in the sales, I really like my Myer card, particularly now I get points when I fill up at my local Caltex/Woolworths petrol station. I'm also a big fan of the Everyday Rewards card with Woolworths and I save up my points for vouchers at Christmas. QF FF, Woolies' Rewards, & Myer One, IMHO! Which children's books do you still read as an adult?